Bluetooth low energy (Bluetooth LE, BLE, marketed as Bluetooth Smart) is a wireless personal area network technology designed and marketed by the Bluetooth Special Interest Group aimed at novel applications in the healthcare, fitness, beacons, security, and home entertainment industries. Compared to Classic Bluetooth, Bluetooth Smart is intended to provide considerably reduced power consumption and cost while maintaining a similar communication range. Bluetooth Smart was originally introduced under the name Wibree by Nokia in 2006. It was merged into the main Bluetooth standard in 2010 with the adoption of the Bluetooth Core Specification Version4.0. 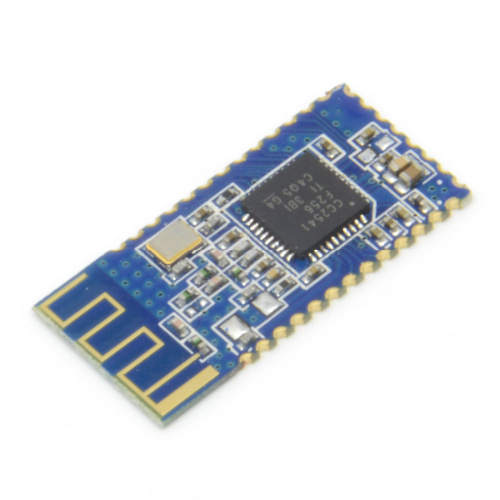 · TTL data transparent transfer between a host Bluetooth device (IOS or Android 4.3). · Default Baud Rate: 9600,8,1,n.